The medical tourism industry has witnessed a steady global growth in the recent years and India is establishing its footprints in this sector with a gusto. As the world population becomes more aware of healthcare options and as quality healthcare rises as a priority in the minds of the majority ages, patients are bound to pursue cross-border healthcare. The primary reasons for medical tourism therefore are high quality healthcare, specialised treatment options, immediate service opportunity for travel coupled with affordability. The Indian government’s Make in India initiative will contribute to the growth of medical tourism phenomenally for several reasons. By far, Wikipedia has had the simplest definition of medical tourism: “Medical tourism is the travel of people to a place other than where they normally reside for the purpose of obtaining medical treatment in that country.” Although it is quite a new concept to a larger majority of people across the globe, medical tourism is not something that started in the last century or a century before that. According to historians, there are several documented texts that provide evidence of medical tourism being a thing as far back as the Egyptian and Greek civilisations. The term ‘medical tourism’ might have evolved somewhere in these last five to six decades, but the concept has been known to human beings for over 2000 years now, and has been in successful practice (on a minimalistic scale) since then. In all this, India has played an essential role and continues to do so. It is a known fact that the country has stock of distinctive flora spread through various regions, which has been a key contribution in the invention and continuation of the practice of Ayurveda. Sages and elderly of the community have promoted Ayurveda as a complete science since many centuries and it has proven to be a boon for overcoming various diseases and disorders. Before Vasco Da Gama discovered the route to India, people from neighbouring lands in South East Asia and Asia Pacific used to travel here to seek medicinal treatment, yogic relief, and meditation therapy. And today after 15 years of the 21st century have run out, India promises to be one of the most sought after health tourism destinations on the global map, which is a breakthrough achievement that continues to gain more and more significance with the passing day. A sector growing at 23-28 per cent on an average in the last three years according to the tourism ministry, medical tourism is a niche domain that India is certainly exploiting. The various medical centres in the country are bound to attract an exponential number of medical tourists in the next five years. While we are at it, this has not been an ad-hoc growth just out of the blue. The efforts made by the central government in close collaboration with state governments has been a key boost for this staggering rise in the popularity of India as a hub for health tourism amongst Americans, Europeans, Africans, and Asians equally. That being said, there are few major factors that have driven the sector’s success, including inexpensive treatments across various hospitals in the country, implementation of technological advancements for high precision diagnosis and treatment, the policy decisions taken by government, and emergence of specialised care centres to cater the various needs of travelling patients and their families. It is expensive to receive medical treatment in most of the western countries and developed nations. Whereas in India, which is on a rapid development path, there are certified and respected healthcare centres that provide inexpensive medical treatment as compared to other countries. According to industry estimates (which are revised from time to time), the average cost for a heart surgery performed in the United States is USD 30,000, whereas the same comes down to somewhere between USD 6000 to USD 7000 in India. This is true not only for heart surgeries, but also for various other treatments like bone marrow transplant, eye surgeries, cosmetic process treatments, neurological treatments, etc. Bone marrow transplants could cost up to USD 250,000 in USA or Europe, but in India, the costs are as low as 10 per cent of the amount that would be spent in western countries. Likewise, thetransplantation of liver is supposed to be a very specific and expensive process in USA or Europe, but the emergence of several hospitals in India that provide this treatment at lower costs, has largely contributed to patients travelling from across the globe. Advanced medication techniques and highly qualified doctors and healthcare practitioners at very reasonable costs is what attracts people from all over the world to seek treatment here in India. It is of utmost essence for the development of any sector that the country’s policies regarding it are put in place in a concrete and helpful manner. The Indian government has been actually successful in taking drastic steps to improve the medical tourism business within the nation. 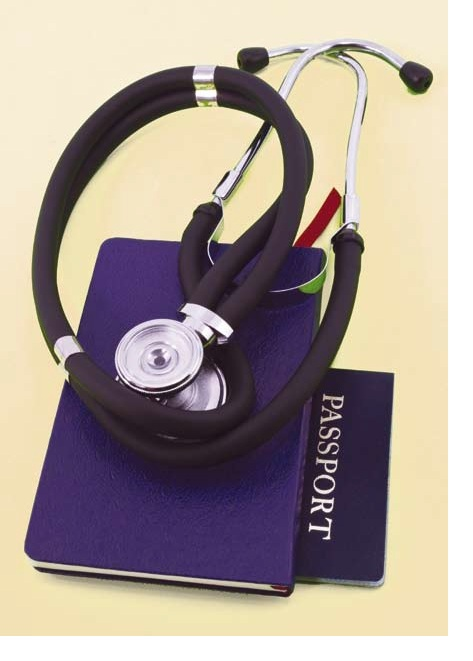 The government has introduced specialised facility to provide medical tourists with Visa on Arrival in order to boost and promote the sector. At the same time, there are multiple international exchange programs in motion throughout the year, which have helped in increasing ties with various countries. With the help of such programs, the potential of India’s medical tourism scenario has been constantly growing as people interact amongst themselves and the country’s healthcare and health tourism services are discussed. Moreover, there is now the ‘Make in India’ initiative kick-started by the central government, which promises to establish and develop hospitality and wellness centres across various booming tourist destinations of the country including Chennai, Bangalore, Goa, Andaman & Nicobar Islands, Lakshadweep Island etc. All these cohesive efforts have enhanced the way in which medical tourism operators work in the country. With the welcome policy changes and innovative implementation of efforts to raise proper infrastructure, more and more private players are investing heavily in the domain. It can be said that the progress of medical tourism in India is indebted to the emergence of the developments in the IT domain. The introduction of cloud computing, web applications, mobile platforms, and enterprise software solutions for efficient administration and management of healthcare facilities, wellness centres, hospitality centres, has proven to be an important factor for the development of medical tourism. Technology has provided the required thrust to set medical tourism in momentum, by making it feasible to improve healthcare services, enhance medical systems, and take up in-depth medical research. Due to these positive developments, awareness created about India’s potential to provide high quality medical treatments and care has been attracting people from across various countries as medical tourists to cities like Chennai, Delhi, Mumbai, Kolkata, etc. 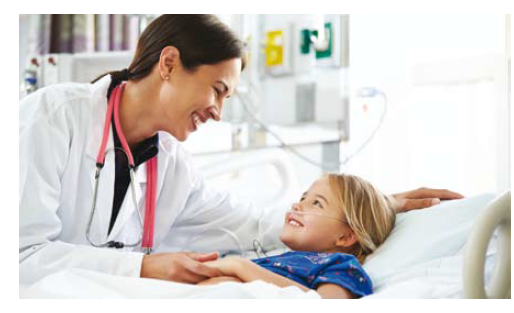 With the help of video conferencing, collaborative networking, cloud space sharing, digital record storage, it has become very easy for patients to get in touch with Indian hospitals for the purpose of discussing their case with imminent doctors in India and has enabled them to plan their travels to the country accordingly. There are other cloud-based offerings that host medical records of patients with minimum annual charges while providing access to medical tourism solution providers and doctors. If a patient conducts tests in any part of the world, these reports can be updated in real-time, giving way for doctors, patients, and tour operators to connect with each other. In the literal sense of the term, there are no such geographical barriers seen anymore, as medical tourists continue to flood in huge numbers from USA, UK, Europe, Afghanistan, Africa, and Australia. A misconception that there is lack of qualitative care was a negative aspect that affected medical travel to India in the last century. But, with all the growth and development and the progress that has been seen as well as witnessed by the world, India is gradually taking quite large strides in being recognised as a superpower in the healthcare and medicine sectors. Naturally, all of this is proving to be huge plus for the abundance of medical tourists that India received. There are 23 JCI accredited hospitals in the country that provide best-in-class healthcare facilities, qualified healthcare professionals for consultancy, experienced surgeons for complicated treatments, and much more. This has enabled patients living abroad to see India as one of the top choices to get their treatment done, not only for the low costs but for the level of care and consultancy that has been made available in the recent times. Post treatment, patients are provided with an option to either recuperate at the hospital or at any other paid accommodation facility in the vicinity. Also, India has been recognised by the United Nations as the country that has given ‘yoga’ to this world. There has been a surge in the number of yoga centres or yoga retreats coming up in scenic locations throughout the country, which is definitely acting as a major point of attraction for medical tourists. For the sustainable progress of any company, it is largely necessary that it creates a niche for its product or service in the market. Likewise,the entire progress of a sector like medical tourism is dependent on development of this niche in the form of ‘regional health tourism hubs’ within the country.For instance, let’s take the city of Chennai, which is called as India’s Health Capital. The series of super-speciality and multi-speciality hospitals in the city are responsible for providing treatment to about 150 to 200 international patients on an everyday basis. The way it has been promoted by the state government has had a huge impact in the increasing number of patients that choose Chennai as their preferred location. More than 40 per cent health tourists who land in India are headed to Chennai for their respective medical treatment, whereas around 30 to 40 per cent domestic medical tourists travel to Chennai for healthcare. This surge is heavily credited to the extremely low cost healthcare facilities available in the city where consultancy and treatment is provided within a minimal waiting period. Through various initiatives, different state governments are now collaborating with the centre to develop regional medical tourism hubs like Chennai in their own states, which in turn can boost the foreign exchange revenues of the country. There is no doubt that the scope for the growth of medical tourism is tremendous, with reports estimating it to become a US$10-12 billion industry by 2020. The exponential growth of medical tourism for the last few years is certainly a huge factor in increasing healthcare sector’s contribution to the country’s GDP numbers. The global promotion of inexpensive and sophisticated treatment of various complicated conditions, along with the integration of advanced technologies to actually provide high-precision treatment is the basic fundamental idea that keeps medical tourism alive. In recent times, the country has been successful in challenging and competing with other medical tourism destinations like Costa Rica, Thailand, and Colombia. The slight advantage that India has over these countries is the communication part. Since most of these other nations function in non-English languages, and in India (although a diverse country), English is commonly used for business communication across all its regions, most of tourists prefer to come here instead. To top it up, India is being promoted and discussed amongst various communities as the country that gave birth to effective medical treatments in the form of Ayurveda. There are just too many foreigners who come here in search of organic, natural, and hassle free solution to their problems. With some smart policy decisions, the medical tourism market certainly has a conducive environment to thrive, and thrive further! 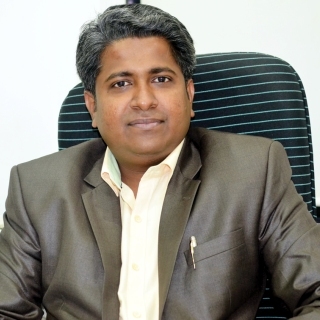 Suhas Jadhav leads the operations and functioning of Bonanza Medical Tourism Pvt. Ltd as a COO of the company since December 2015. He is a qualified Physician and a Surgeon and has cleared his BAMS in the year 2010. He has joined Bonanza Medical Tourism Pvt. Ltd in the year 2011 and since then has been instrumental in setting up the various process and functioning of Bonanza Medical Tourism Pvt. Ltd.